Double-wall construction with 2” (50mm insulation thickness, reduces heat loss and improves energy efﬁciency. Low noise and quite operation. Operates with environmentally friendly refrigerant HFC R-410A. EER up to 11.4 and IEER up to 13.4, complies with ASHRAE 90.1 standard. 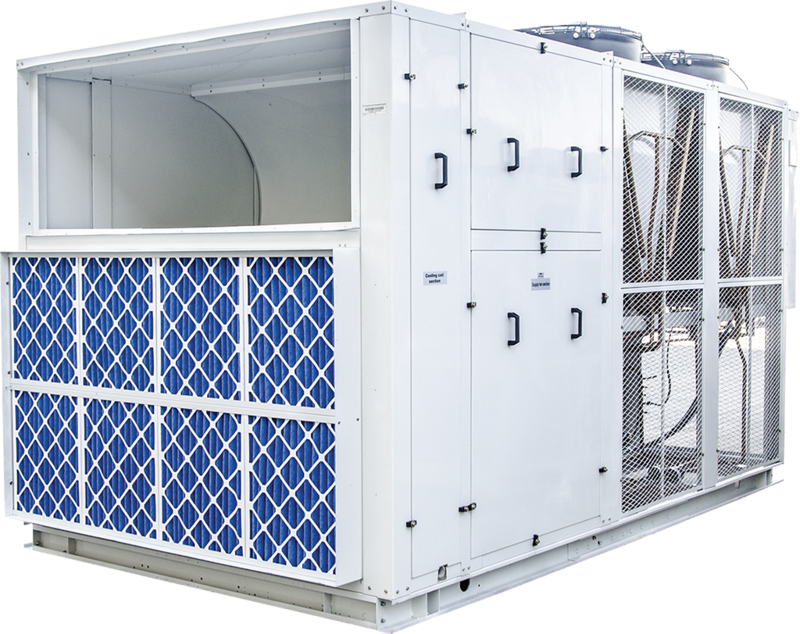 Cooling capacity from 6 up to 60TR (21Kw – 211Kw).